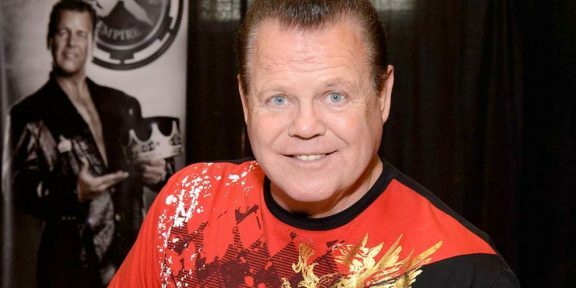 Jerry Lawler is up on his feet and even throwing a joke or two in a remarkable recovery following his heart attack on Monday night during the live broadcast of RAW. 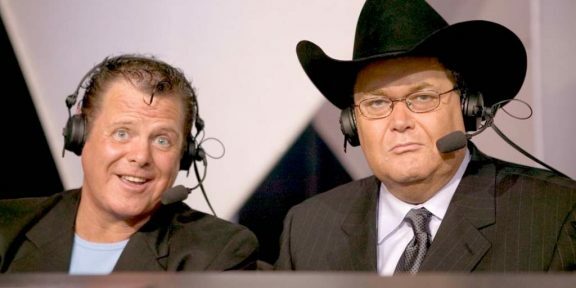 In a Tout video message he recorded from his hospital, The King said that he resembles a bionic man with “more wires coming out of me than AT&T.” The fifteen second video was the first direct communication of Lawler to the WWE fans. “I want to thank the WWE universe for all their well wishes. Thank you all,” Lawler said. 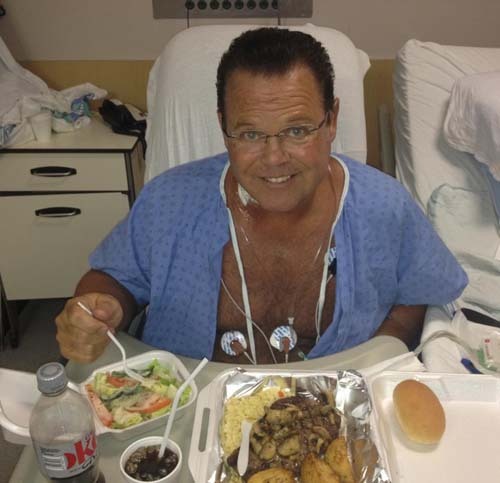 WWE later posted a photo on his Facebook page of Lawler sitting on a chair in hospital as he smiles while eating stake, potatoes, and salad. You can see the Tout video and photo below.